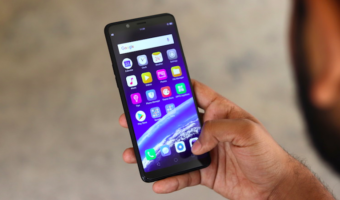 There’s no denying that Xiaomi is working on the budget Xiaomi Redmi Note 5 smartphone- the successor to last year’s Xiaomi Redmi Note 4, which is the best-selling smartphone in India. 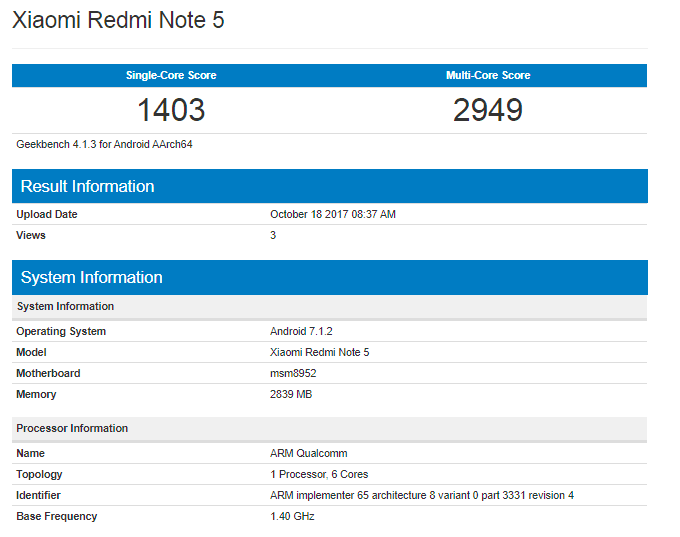 The Xiaomi Redmi Note 5 is now spotted on popular benchmark site Geekbench with unusual specs on board. While there are countless rumours about the smartphone suggesting it will come with either Snapdragon 630 or Snapdragon 660 SoC, this Geekbench listing reveals that the device will indeed come with the Qualcomm Snapdragon 617 SoC, which is one of the disappointed from the house of Qualcomm. As you can see in the screenshot, it clearly states motherboard as msm8952, which belong to Snapdragon 617 SoC. Previously, the Snapdragon 617 SoC is used in smartphones such as Motorola Moto G4 Plus and Coolpad Max, and both the smartphones disappointed with their performance, thanks to some heating issues with the chipset. Also shown in the listing are 3GB of RAM and Android 7.1.1 Nougat, which might be based on MIUI 9. Earlier rumours suggested that Xiaomi will use either the Snapdragon 630 SoC or Snapdragon 660 SoC to power the Redmi Note 5 smartphone. That said, this listing might be a fake one, given the fact that Xiaomi used Snapdragon 625 to power the Redmi Note 4. In a recent development, Xiaomi is said to be using the latest Qualcomm Snapdragon 636 chipset in a Redmi smartphone, but the smartphone is not yet known, at least as of now. Besides the chipset, the Redmi Note 5 is likely to be a worthy successor to the Redmi Note 4. 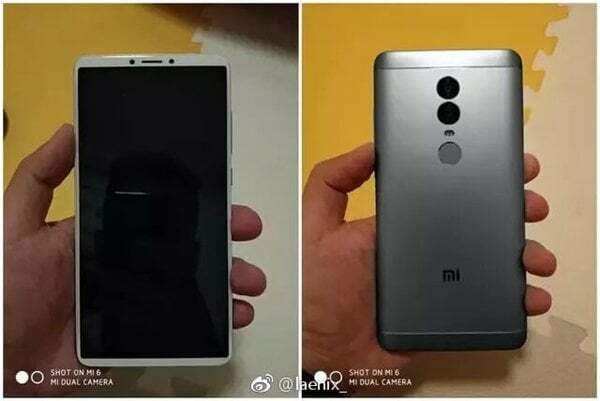 The Redmi Note 5 is rumoured to feature an 18:9 aspect ratio display with bezels on top and bottom, but the design of the smartphone will be relatively similar to the previous iterations of Redmi Note devices. The upcoming smartphone will have a dual camera setup at the back- a 16MP primary sensor and a secondary 5MP sensor to capture depth in the images. The phone is said to have a 5MP front-facing camera. Continuing its iteration of adding beefy batteries, Xiaomi is expected to add a 4000mAh battery in the upcoming Redmi Note 5 as well. Alongside the Xiaomi Redmi Note 5, Xiaomi will also unveil the budget Redmi 5 smartphone as well. 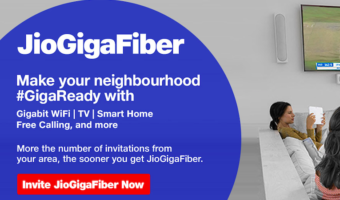 Both the devices are expected to land in India early next year. Will it launch in November? January to March if Snapdragon 636 is available around that time!!!! !